Cynara cardunculus health benefits have aroused much interest, leading to the discovery of valuable bioactive compounds with a crucial role in plant defence. 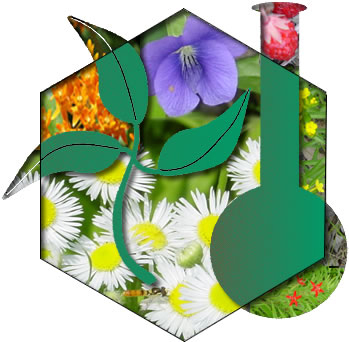 Guaianolides and hydroxycinnamic acids, mainly represented by cynaropicrin and chlorogenic acid, constitute the major secondary metabolites in leaves (9.5% and 10.4% dry weight, respectively). These compounds evidence biological activity, namely antioxidant, antitumoral, hepatoprotective, antimicrobial and anti-hyperlipidemic effects. Therefore, numerous efforts have been undertaken in this species to unveil the biosynthetic pathways of such compounds, by means of genomic and biochemical approaches, which could support advances, via breeding programs, in C. cardunculus chemical composition and, consequently, in the improvement of its extracts biological activity. Addressing this challenge, relevant genes in cynaropicrin biosynthesis, as well as in chlorogenic acid biosynthesis have been widely studied. 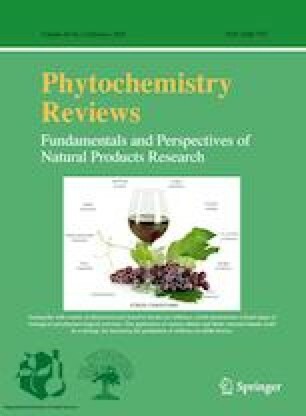 The present review highlights the current knowledge on the biosynthesis and distribution of guaianolides and hydroxycinnamic acids, especially of cynaropicrin and chlorogenic acid in C. cardunculus, as well as their association with plant defence mechanisms and human health-promoting effects, prospecting the valorisation of this Mediterranean species as a potential source of bioactive compounds for food, nutraceutical and pharmaceutical purposes. This work was supported by the Program Alentejo 2020, through the European Fund for Regional Development (FEDER) under the scope of ValBioTecCynara—Economic Valorisation of Cardoon (Cynara cardunculus): Study of natural variability and biotechnological applications (ALT20-03-0145-FEDER-000038). This work was also funded through FCT under the Project UID/AGR/00115/2019 to ICAAM. The authors also want to acknowledge Project CICECO-Aveiro Institute of Materials, POCI-01-0145-FEDER-007679 (FCT Reference: UID/CTM/50011/2019), financed by National Funds through the FCT/MCTES and when appropriate co-financed by FEDER under the PT2020 Partnership Agreement. FCT is also acknowledged for the research contract under “Investigador FCT” to C. S. R. Freire (IF/01407/2012), and for funding the MultiBiorefinery Project (POCI-01-0145-FEDER-016403) which funded the PostDoctoral Grant of P. A. B. Ramos.